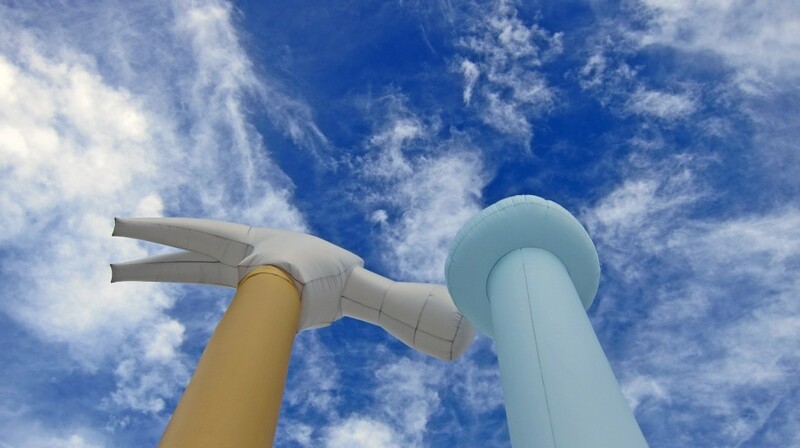 It Takes Two features two 20-foot moving inflatable elements, one a giant hammer and the other a giant nail. 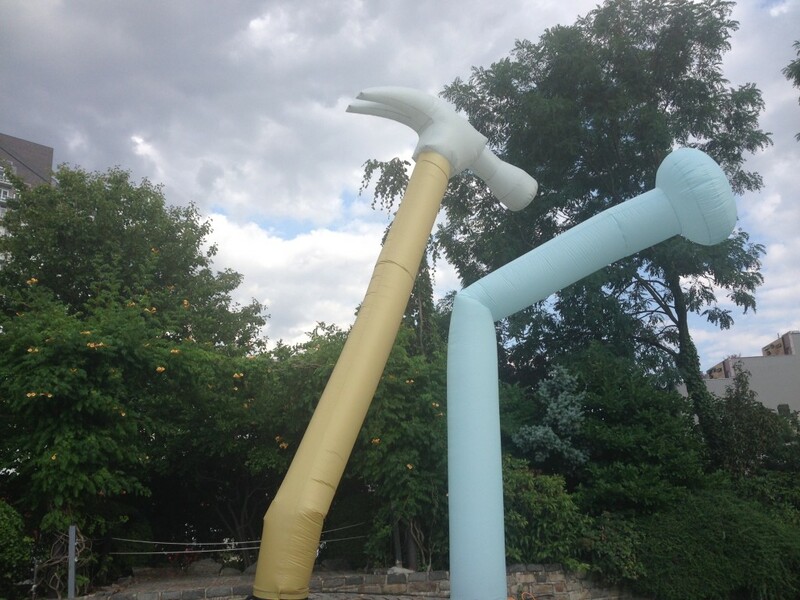 Just like the attention grabbing inflatable figures in front of used car lots, the hammer and nail move humorously in relation to one another - the hammer grasps to hit the nail and the nail slyly bobs and dodges away. This perpetual dance between these two iconic symbols of construction and progress simultaneously calls attention to and distracts from Socrates month-long transition between summer and fall exhibitions. 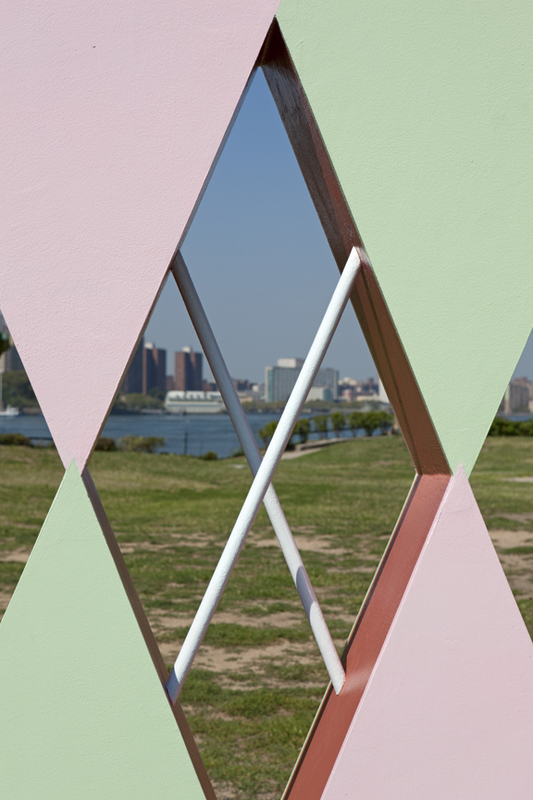 Socrates Sculpture Park is open 365 days a year from 10am-sunset and never closes for installation. Throughout the summer artists are working on site to create large-scale public works in the parks outdoor studio. This act of making and working is central to the energy of Socrates and the visibility of the process both demystifies and enriches the visitor experience. 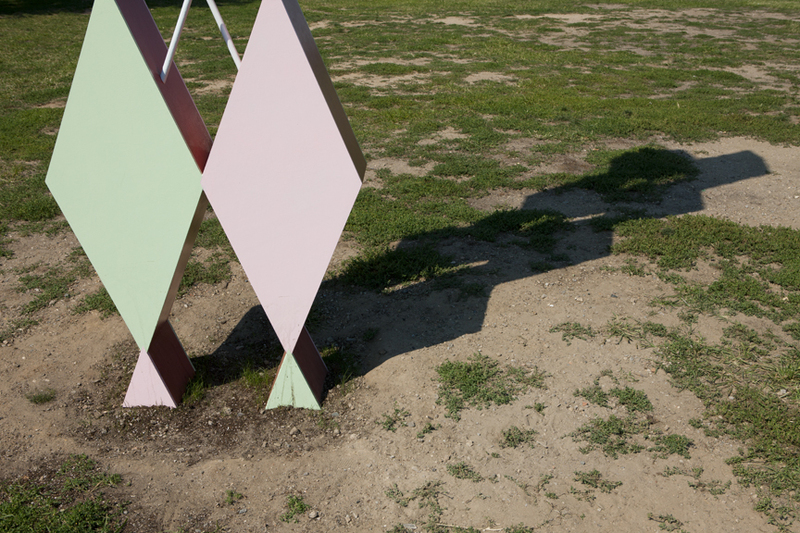 On view at Socrates Sculpture Park throughout the month of August It Takes Two will roam and dance throughout the park highlighting the ongoing deinstallation and installation. 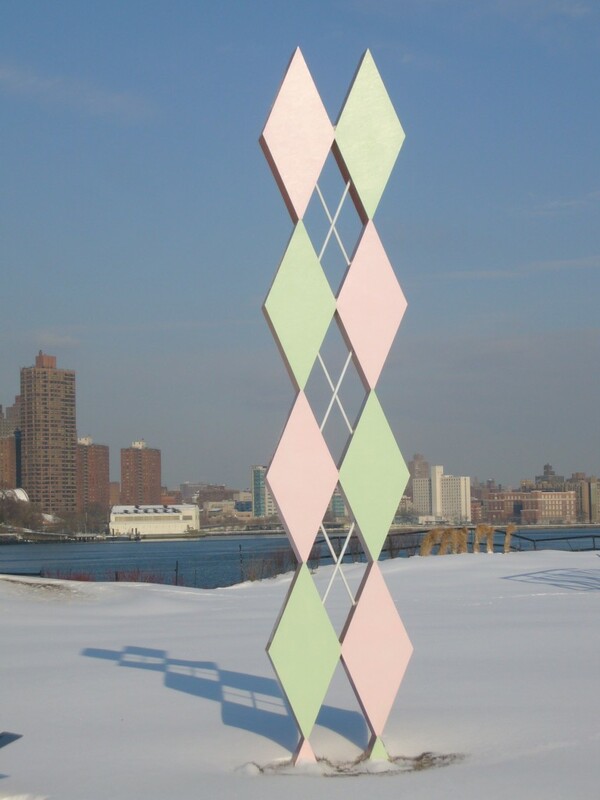 Daniele Frazier is an artist living and working in Brooklyn, New York. Originally from Mill Valley, California, she graduated from the Cooper Union School of Art in 2007, where she received the Jacques and Natasha Gelman Trust Award. Her work has been shown in galleries such as Museum 52, Rivington Arms, Guild & Greyshkul and the Brooklyn Academy of Music. 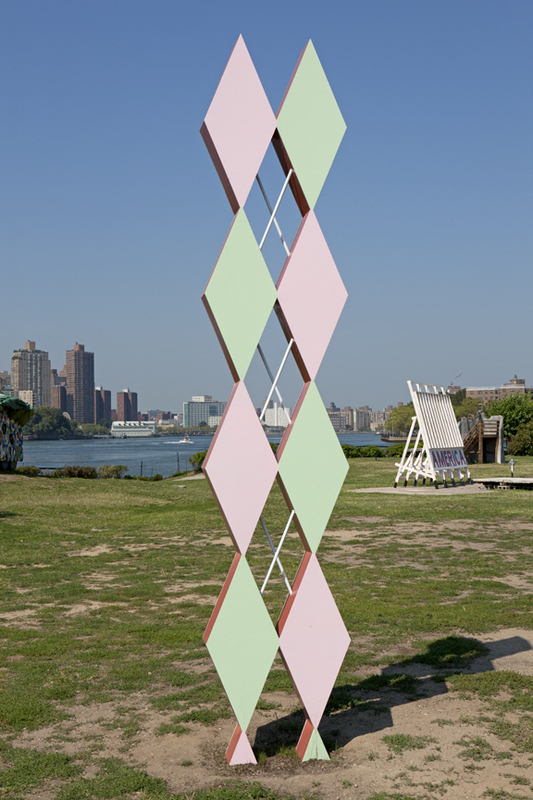 Her first large public work, Argyle, was on view at Socrates Sculpture Park in Queens, New York as part of their Emerging Artist Fellowship exhibition. 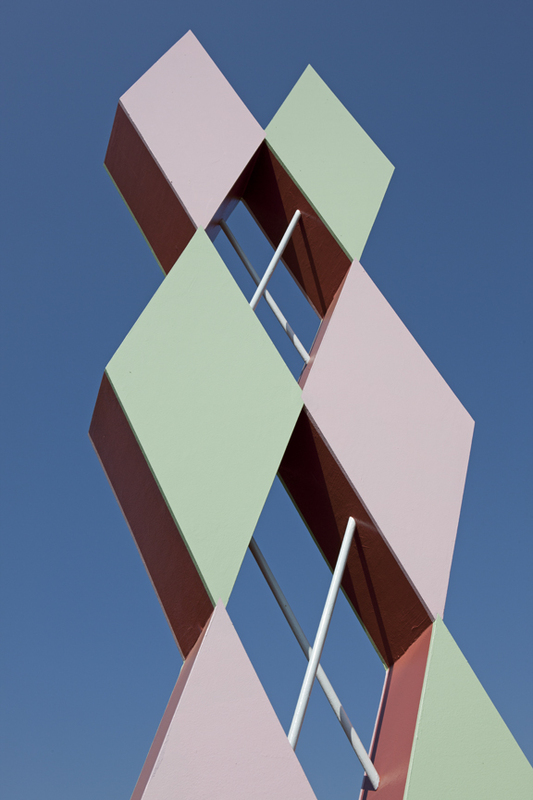 She works primarily in sculpture and drawing, but occasionally cameos in other artists’ performances and videos. She just completed a month-long residency in Oaxaca, Mexico where she created small sculptures using found objects from the area, focusing on altering religious imagery to inject humor and create new meanings in classic icons. 16' x 37.5" x 10"